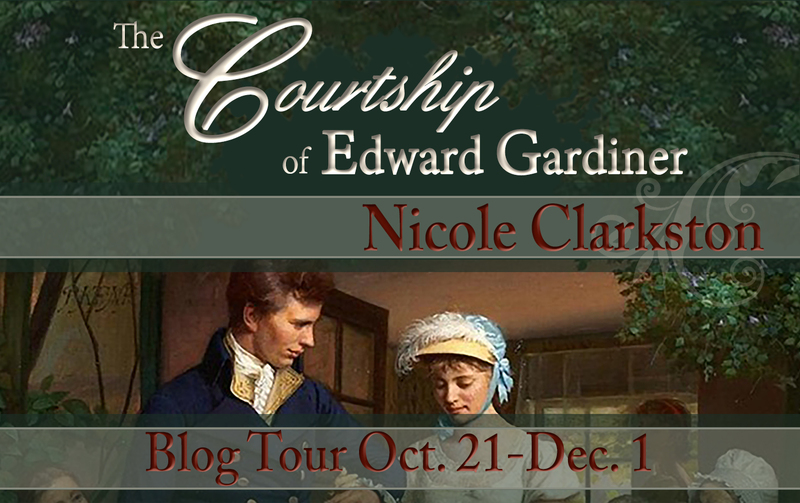 These Dreams is a very special book to me for a million different reasons, some of them you’ll understand when reading this last post of the blog tour, and it is to me a great honor and joy to be closing the tour of such an incredible book from a kind, talented and genuinely good person as Nicole Clarkston. On this last post you’ll read about the Portuguese connection in These Dreams, and I would love to read your opinion about it. Did you like the Portuguese scenes, or was it too hard to bear? Did you start hating the Portuguese characters when you saw what they were doing to Darcy? Or did Amália got to your hearts immediately ? What about her love story, what do you make of that? I know I’m filling you with questions, but I would really love to hear everybody’s opinion about the Portuguese connection and characters, especially after you read this post. I hope you enjoy it!!! Nicole: Part of the inspiration for These Dreams came about a year and a half ago, during a chat with Rita about Colonel Fitzwilliam. She said she always wished she could see him fall in love with a Portuguese girl, but no one (that she knew of) had played with that idea. As I was not familiar with Portuguese history, she began telling me of the complicated relationship between the English and the Portuguese during this time. Rita: Portugal was Britain’s oldest ally in Europe and in the beginning of the 19th century, Britain was finding new opportunities for trade with Portugal’s colony in Brazil and the Royal Navy used Lisbon’s port in its operations against France. This was obviously a great problem for Napoleon, as he wanted to deny the use of the Portuguese fleet to the British, so on July 19, 1807 he ordered Portugal to declare war on Britain, close its ports to British ships, detain British subjects on a provisional basis, and sequester their goods. Prince John of Braganza, regent for his insane mother Queen Maria I, declined to join the emperor’s Continental System against British trade, and that was the starting point of the Peninsula War— a military conflict for control of the Iberian Peninsula between Napoleon’s empire and the allied powers of Spain, Britain and Portugal that took place between 1807 and 1814. Portugal was able to defeat the French with the assistance of the British troops. In fact, the Portuguese army was reorganised and refitted under the command of Gen. William Carr Beresford, who had been appointed commander-in-chief of the Portuguese forces by the exiled Portuguese royal family. Beresford fought as part of a combined Anglo-Portuguese army under Wellesley. However, the connections between Portugal and Britain do not end there. The burden of war destroyed the social and economic fabric of Portugal and ushered in an era of social turbulence, political instability, and economic stagnation that was in part created by the political and economic agreements Portugal made with Britain. The war with the French was over, but a new war over political and economical power was starting in Portugal, and the former ally was now Portugal’s greatest enemy. 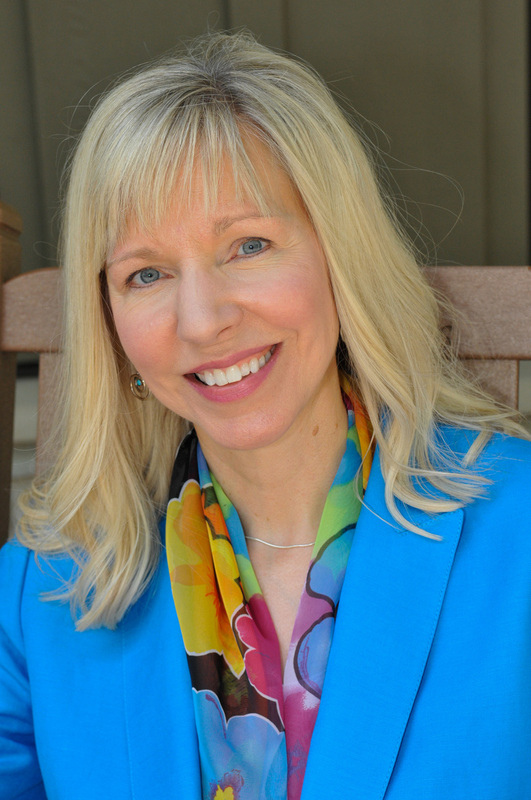 Nicole: Our villain was an important character, and his development was integral to the plot. Some of what Rita told me about Portugal’s history and economy gave me some ideas and places to start digging for motives. I wanted to create a man with real and perhaps even admirable ambitions. He wanted to help his country and he wanted to set right what he perceived as an injustice, but his conscience was so twisted that to him, the ends justified the means. (Just to balance him out, there was a British character with even less conscience.) What Vasconcelos wanted was “good,” and he would stop at nothing to achieve it. Rita: The aftermath of The Peninsula War signified Portugal’s traumatic entry into the modern age and the rise of several nationalist movements that wanted to defend the country against the British military intervention in our politics, and fight the economical impositions that were beneficial to Britain but detrimental to the Portuguese economy. When Nicole started talking about a Portuguese villain I thought that this scenario would be perfect for the rise of man such as Vasconcelos whose patriotism would go too far due to everything he was witnessing in his country. I can even relate to him as I am very patriotic myself and the British imposition was truly devastating to Portugal. Who would not want to defend his own country from a foreign power? The nationalists started to have a voice during the Peninsula Wars and were involved in the liberal wars that started in 1820, which opposed the absolutists to the liberals. I like to think that Vasconcelos was a crucial player in these wars and that his fervent nationalism placed him in an important position amongst the absolutists who supported D. Miguel. Nicole: After Rita gave me some interesting points in the history, a plot was starting to develop in my mind. 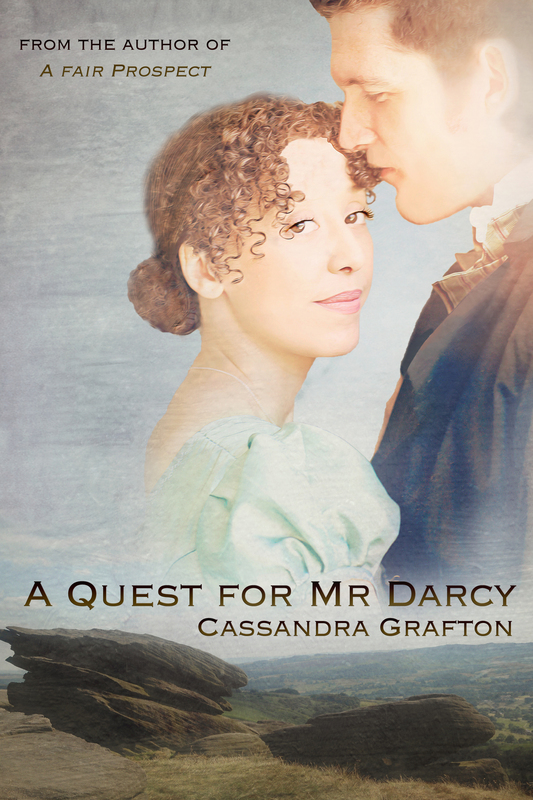 I had already decided that Darcy and Elizabeth would face a heartbreaking separation, and Portugal seemed like a great place to send him. The next challenge would be to craft more believable Portuguese characters. 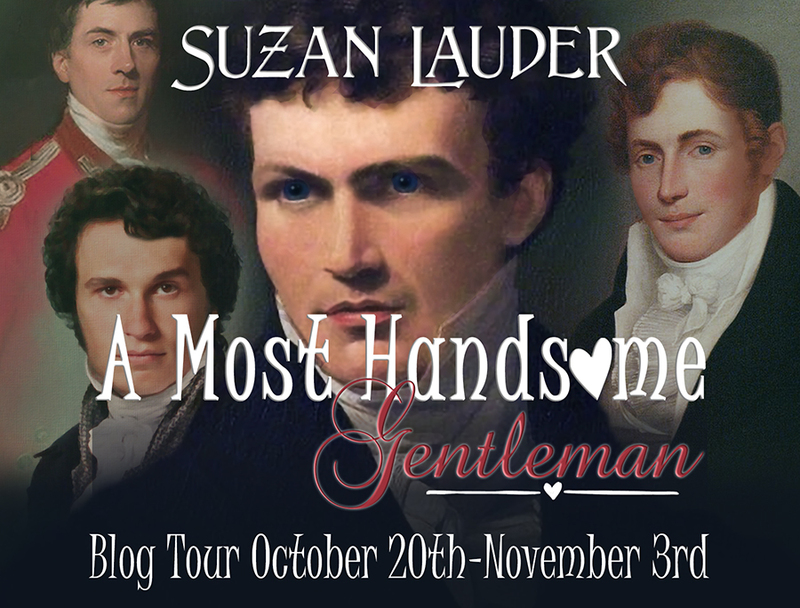 I started with Colonel Fitzwilliam’s love interest, and even her name was carefully chosen. Rita: I suggested a couple of names that could have been used on the 19th century and amongst them were my mother’s name, Amélia, and a very similar name which was the name of the most known portuguese Fado singer and national icon, Amália Rodrigues. Nicole wasn’t too fond of Amélia, but she loved Amália and from the moment she chose that name I created a vivid image of the character in my mind that was precisely the one I saw described in These Dreams. Below you can see both Amália Rodrigues and Maria Amália Vasconcelos, or the representation of the character that Nicole chose…which reminds me we didn’t even talk to you about how she chose the lady that would portray Amália! 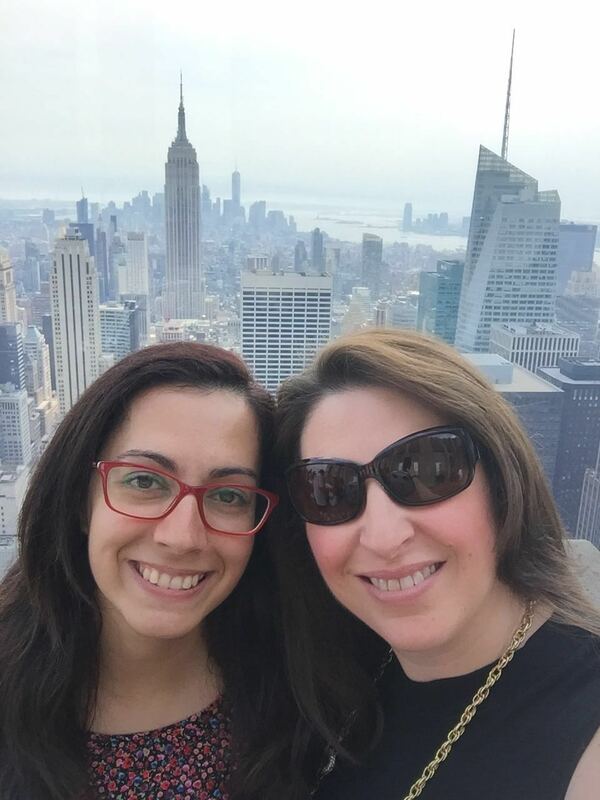 I guess we will have to leave that to another time, but I also had a tremendous fun looking at paintings and telling Nicole which ladies could have been Portuguese and which were clearly British… She ended up choosing this beautiful lady and I think she is the perfect Amália!! There is a fierceness in her eyes that I find enchanting! And she is a bit similar to Amália Rodrigues too, isn’t she? Nicole: We agreed that Amália should be strong, ladylike, a dutiful daughter, and enough of a spitfire when provoked to fight for what was right. What she lacks in Elizabeth Bennet’s delightful sense of humour, she makes up for in sheer backbone. She reminded me quite a bit of Margaret Hale; a lady in circumstances not of her choosing, who sacrifices for honour and justice. Amália endures quite a bit of her own grief during the story, so her character needed to reflect enough depth that she could believably stand, yet tremble because she is, after all, human. Rita: To me Amélia is a much sweeter name and I’m glad that Nicole didn’t chose it because Amália is much stronger and fits perfectly in the character. 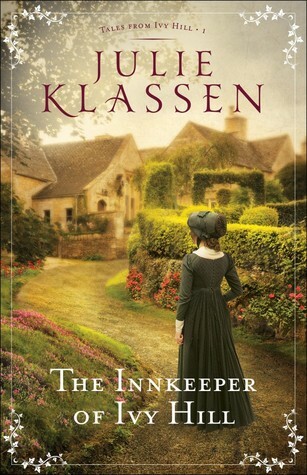 She is my favourite original character in JAFF literature, and the perfect match for our good Colonel. Nicole: Thank you, Rita, that means a great deal to me! 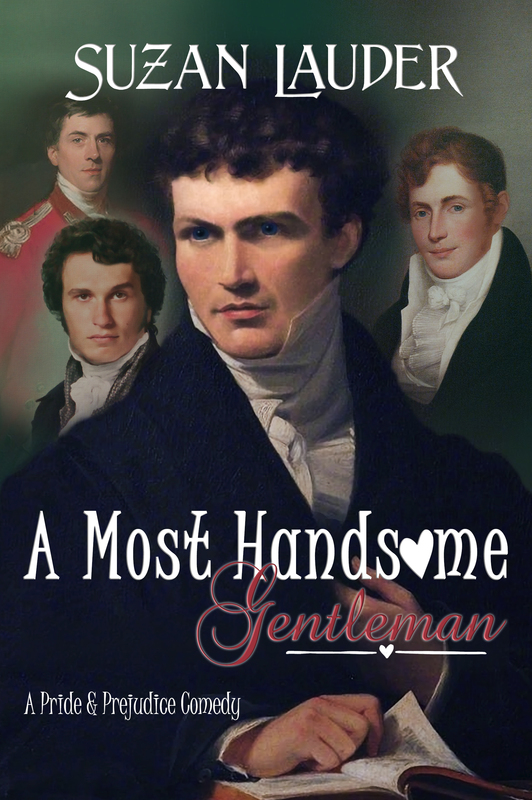 Amália’s brother was our means of introducing her to Colonel Fitzwilliam. 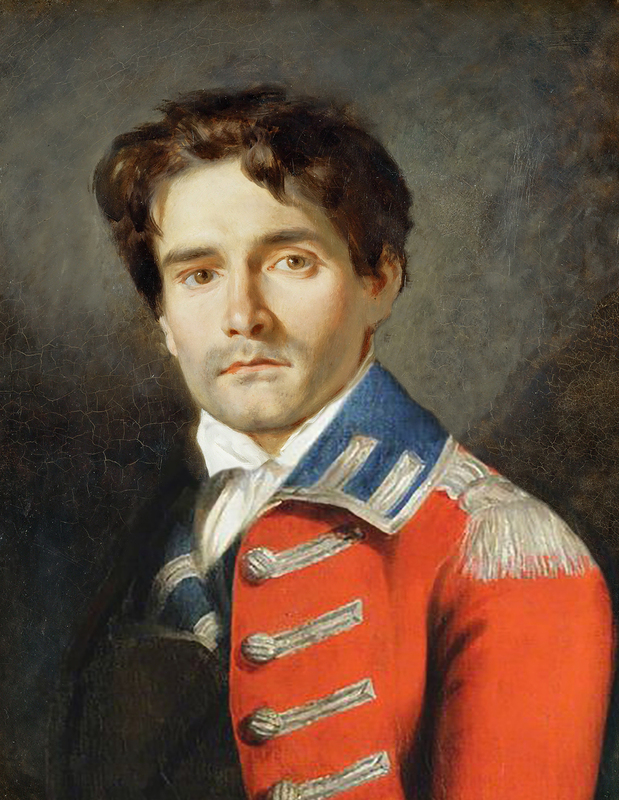 He was a soldier in the Anglo-Portuguese army alongside “Major Fitzwilliam,” in 1809-1810 we decided, and their history in battle had made them trust one another. I wanted to paint a noble Portuguese soldier, a character whose role is like Georgiana in the original; not central, but pivotal. His name was special to me as well, because I wanted a very traditional sounding name which could be shortened to a more intimate one. Rita: The curious thing is that we found the perfect name! Rodrigo was a common name at the time, and it was shortened to Ruy, which is the name of my husband, even if nowadays it is spelled Rui, so this could not have been more perfect! Nicole: I loved this name! It’s both dignified and playful. After we had the characters fixed, the next challenge was manners and language. There were a few mannerisms I had to ask about (i.e. would the Portuguese greet one another with a kiss as some cultures do?) but the larger challenge was the language. I have a fair bit of experience with Latin and French, so several of the Portuguese words appeared to be cognates, but the usage was another matter. I wanted authentic, natural sounding speech, and that is something you just can’t get from Google Translate. There are a few key Portuguese phrases smattered about the book, and some of them are very special. Tive saudades tuas is not possible to translate because there isn’t an exact equivalent to the word saudade (saudades is plural). The word reflects the feeling one has when they miss someone or something, it doesn’t just mean we missed someone, it translates a feeling and it is very powerful in the Portuguese language. Amo-te (I love you) is also very special because unlike English, Portuguese people do not use this word lightly. Amo-te is only used toward people and when the feeling is really strong. 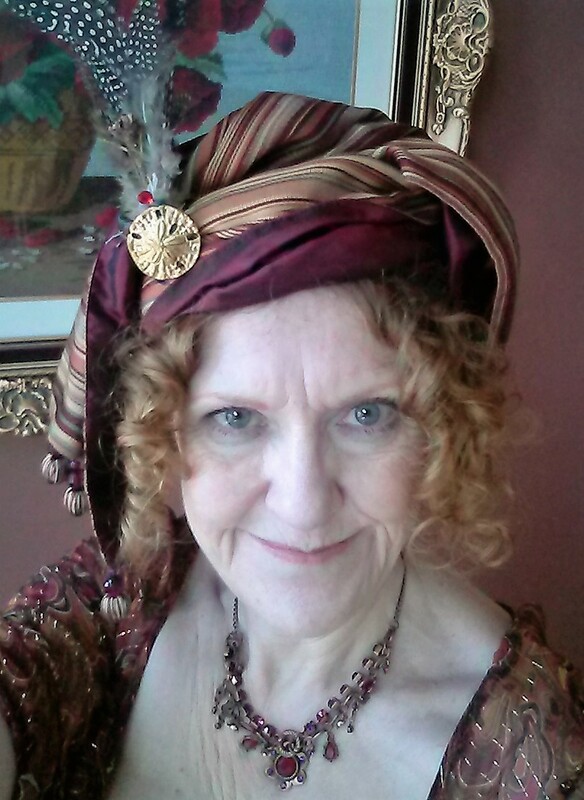 It would never be used in sentences such as, “I love this bonnet,” for example. In a sentence such as that, a Portuguese person would use the word “like” and not “love,” which makes the word really special. Nicole: Wahoo! Props to the programmers! Another detail I wanted to get just right was the pattern of speech which would be natural for a Portuguese speaker who is not absolutely fluent in English. I made the assumption that, being a lady, Amália would have had a little bit less practice than her father who does business with the English all the time, or her brother who sat in army camps with English soldiers. Naturally we wanted her to be fluent, but we intentionally built charming little patterns into her speaking which give her away as a non-native speaker. I chugged right ahead by using the patterns I would have assumed for a French speaker, and Rita had to correct me in nearly every instance. Rita: The masculine/feminine use of words was the most frequent mistake as it is one of the biggest differences between English and Portuguese, and things like Meu flôr, became minha flôr, but also the use of the word yes when making a question. A portuguese would most likely use “no” to end the question instead of the “yes”. And in the end we actually ended up using a mistake I sometimes make when I speak English as a way to “imperfect” Amália’s speech. It is something I know that is incorrect, and I never make the mistake when I’m writing but when I’m speaking really fast my Portuguese brain makes me say things like “I did heard you” instead of “I did hear you”, that is also because of the differences between the languages, which I find really interesting. Nicole: That was my favourite part, too! 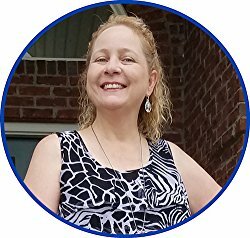 I was thrilled that Rita was willing to take the time to offer constructive feedback and to help me get the details right. We both wanted to honour Portuguese language and culture in this small way. We ended up knowing much more about each other and it was a joy to share both the differences and the similarities of life in modern Portugal and rural Oregon. I suppose, in the end, those are some of the things Richard and Amália learn to negotiate as well, when they decide that those barriers between continents and people really don’t matter that much. Thank you, Rita, for your friendship and for the heart you have invested into bringing this book to life. Rita: I’m the one who should thank you for the friendship and the opportunity to work on such a beautiful project with you Nicole! I think it is befitting that we close this blog tour with the final moment of the writing process, the memorable moment when Nicole Clarkston wrote Fim (tTe End). Nicole: That was the most satisfying word I have ever written! This book was a long journey, and it challenged me in new ways. I am delighted to know that it has touched so many already. For me, it enriched so many relationships, from my collaboration with Rita on the plot, with Janet on the stunning cover and many of the emotional elements, with Debbie and Don and Joy and Joana on the read-through process, and with all the lovely bloggers who opened up their pages. I have been blessed with new friends as well, and to everyone I express my most heartfelt gratitude for your support. 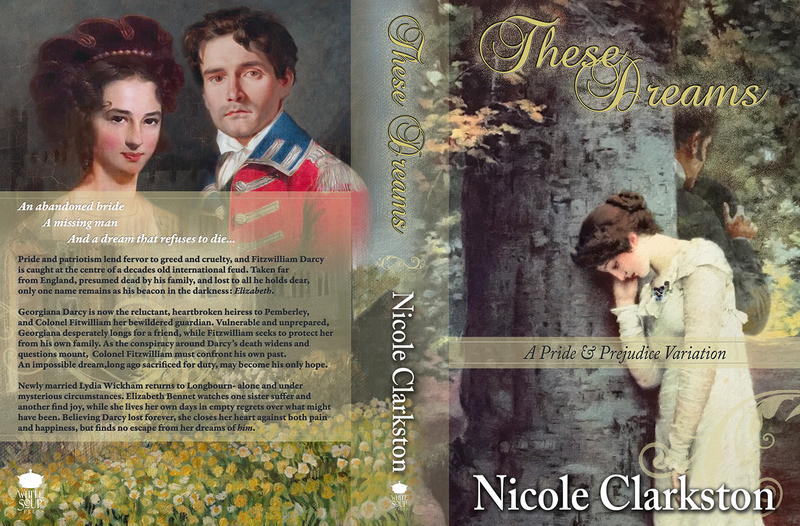 Nicole Clarkston is offering a giveaway of 10 eBook copies of These Dreams to readers commenting the posts throughout the blog tour. This is the final stop, so don’t miss this last chance to participate in this international offer. To enter the giveaway comment the post and click here. Today is a very special day for me because it marks the second anniversary of From Pemberley to Milton! It all started as a way to organise myself, to list the books I had read and to have an idea of which authors I would want to read next, but soon this blog became much more than that! From Pemberley to Milton opened the doors to many experiences, but above all, to conversations with kindred spirits. Because of it, I got to know people with whom I feel really connected with and whom I consider true friends. 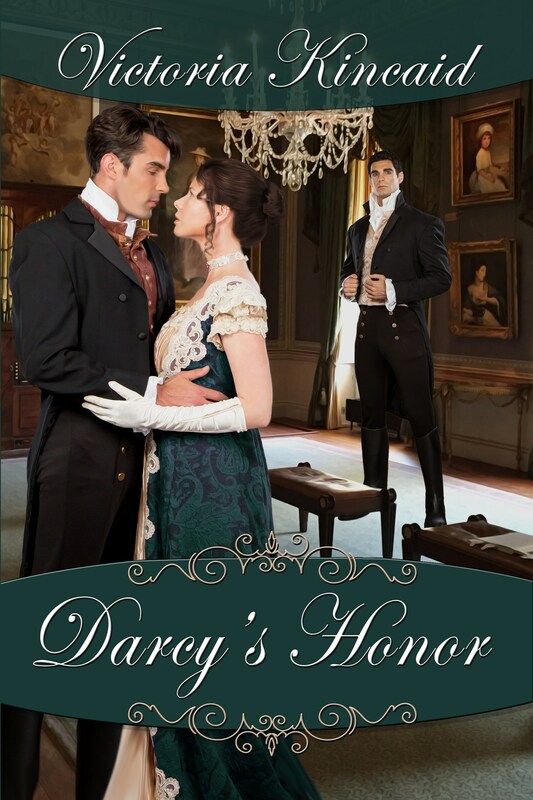 It all started in 2015 with me posting the review of Mr. Darcy’s Noble Connections, after this first step, comments started to appear and I started talking to many of the people with whom I’m still in contact today. Getting to know all of you was a plus, and one I was not expecting, I never imagined a JAFF community existed and that everyone was so welcoming and nice 🙂 Thank you so much for all your kind words in the past 2 years, and for being such na important part of my live!!! But the conversations I established with you were all online until the beginning of 2016. 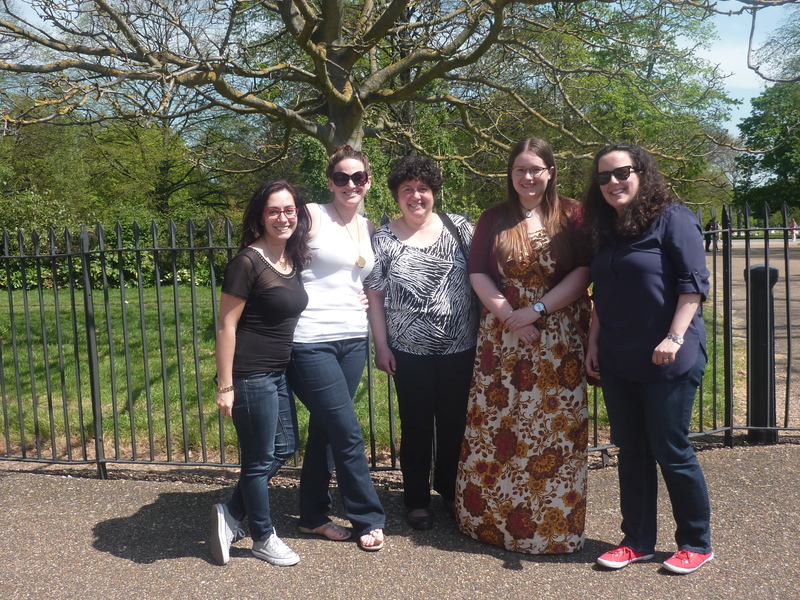 That’s when I got to meet Elizabeth Adams, Joana Starnes, Sophie Andrews and Ana from My Vices and Weaknesses. This first meeting was absolutely wonderful, but it was only the beginning. Since then I’ve been with these ladies many more times, and I believe we are now establishing a tradition of meeting in London once a year 🙂 Who wants to join us next year? 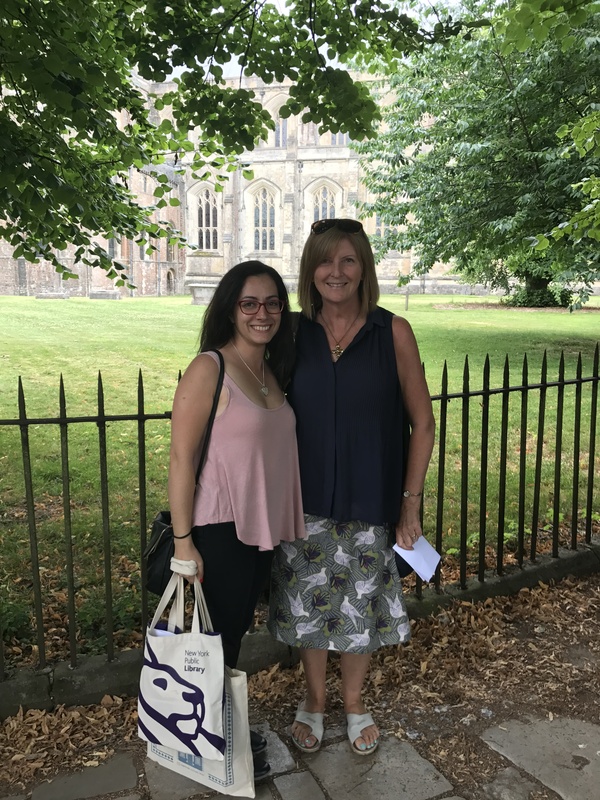 That first meeting opened the door to other encounters, and the next time we all met, we even added another Janeite to the party, author Caitlin Williams, whom I was lucky to meet a second time just last month, along with another group of amazing ladies. But my Janeite meetings were not restricted to the UK, I crossed the ocean and met fellow blogger Claudine Pepe in New York City that same year. This year, my janeite encounters continued and I met several writers such as Cassandra Grafton and Amanda Grange . 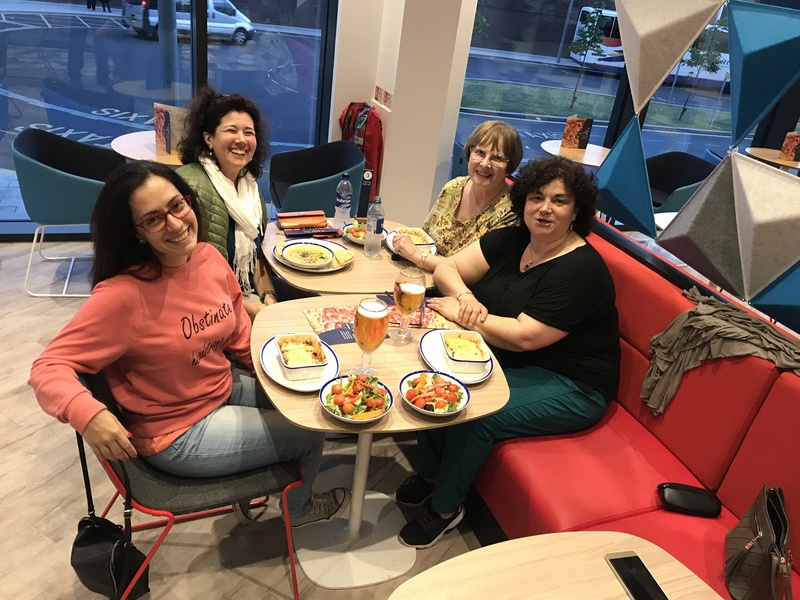 Travelled with writers Lory Lilian, Andreea Catana and editor Ellen Pickels. The last day I was with Mira, I was telling her I had to prepare this post, because my blog anniversary was coming, and you’ll never guess what happened! 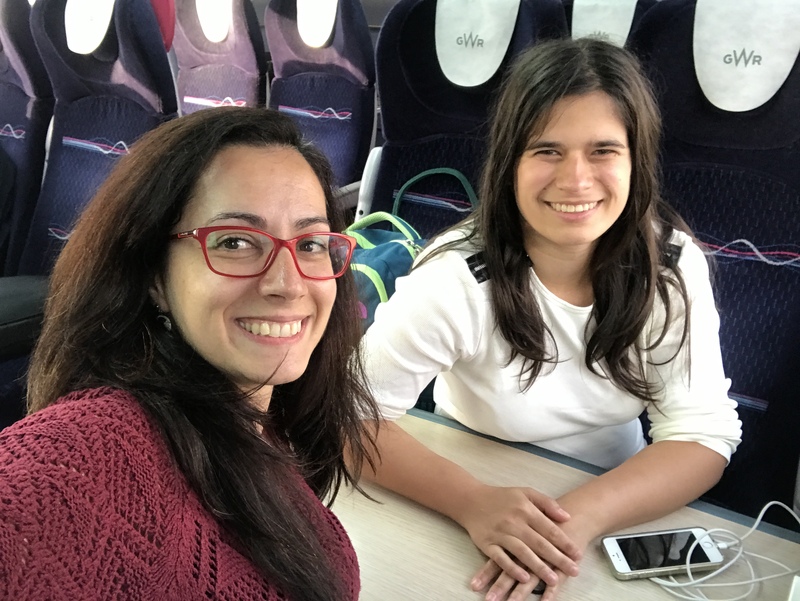 We were on a train on our way to London, when we discovered that, in fact, we started our blogs exactly in the same day!!! As you, wonderful people, have been with me and Mira on this journey, you shared, liked, commented, entered giveaways, wrote us messages, etc,. 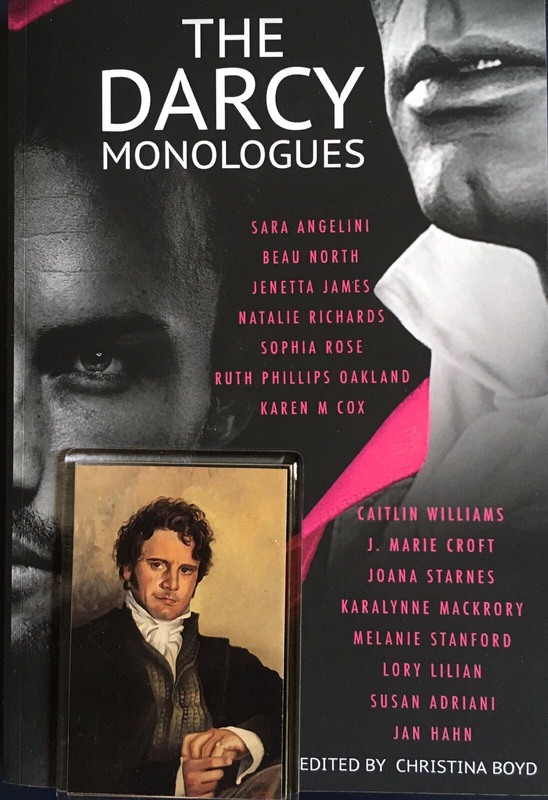 We would like to offer one lucky winner a copy of The Darcy Monologues, signed by the editor Christina Boyd, and 3 authors: Lory Lilian, Joana Starnes and Caitlin Williams along with a Mr. Darcy Magnet. The giveaway is international and open until the 22nd of August. 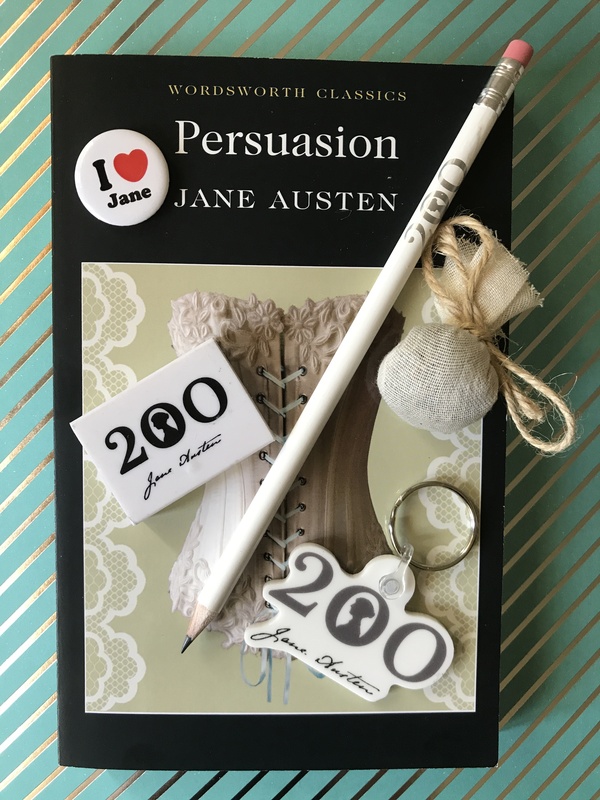 You can enter by commenting on BOTH From Pemberley to Milton and Obsessed with Mr. Darcy‘s original wordpress posts. Good Luck!